Great menthol flavor and always received fresh every time! As always, great product, great customer service. I am always happy with my purchase. Great favor and long lasting. Only place to shop for your e-cig needs. Great product, great service, highly recommend! 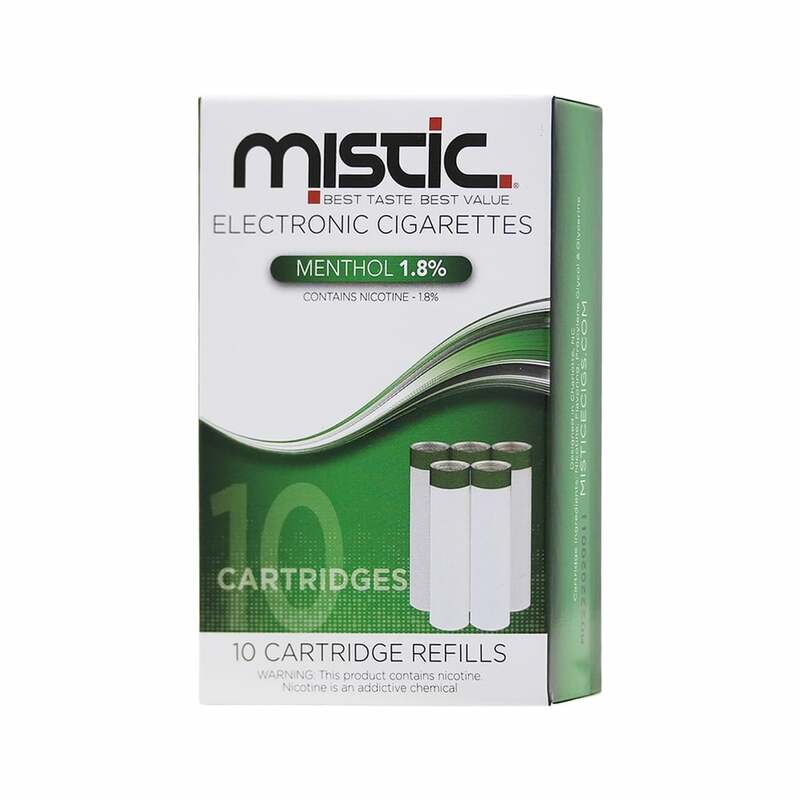 I've used other Mistic cartridges, but these weren't satisfying, due to my own mistake. If you're a regular smoker, you might consider using the 24mg. It does make a difference. The stronger nicotine hit gives you more satisfaction. I'll try the 18mg after two more months on the 24mg. Good luck.